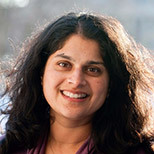 Roopali Phadke’s teaching and research focus on energy and climate policy, citizen science, community based research methodologies and sustainable development initiatives. She is currently the principal investigator on a multiyear National Science Foundation study on Mining Futures. With her Macalester colleague Christie Manning, she directed a NOAA funded project on diversity and deliberation in urban climate adaptation called Ready & Resilient, which received a 2016 award from the Climate Adaptation Partnership. Locally, she serves on several boards including with Northern Lights, Climate Generation and the Water Bar in Minneapolis. Internationally, she serves on the advisory board for the School for International Training and on the Governing Council for the Society for the Social Studies of Science (known as 4s). She has also served as one of co-organizers of the U.S. WorldWide Views on Climate and Energy project, sponsored by the Danish Board of Technology to provide citizen input into the UN Climate Summit.